New optional packages for the XJ deliver a sportier appearance and a vastly improved top speed. 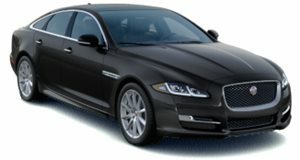 A pair of option packs for the luxurious XJ has been revealed by Jaguar: the Sport pack, available across the range including the twin-turbo diesel, market-specific 3.0-liter V6 petrol and naturally-aspirated 5.0-liter V8; and the Speed pack for the supercharged models, which simply removes the electronic limiter allowing it to hit a top speed of 174mph. For the exterior the Sport Pack adds an aerodynamic splitter under the front bumper and the rear gets an extended boot lip spoiler. "Stability, aerodynamics, prodigious power and as little weight as possible. The XJ is blessed with all these qualities in abundance and with the addition of the Speed Pack it becomes an ever more impressive performance saloon."